I don't know many people in real life who have house cows. A few acquaintances, but no good friends with whom I can talk regularly about cows. Like many of my interests, I turn to blogs to find like-minded people who are happy to talk non-stop about cows, manure, hay, minerals, pasture, milking schedule and bottle-feeding calves! As well as enjoying the topic of conversation, I also learn so much from these blogs, even though they are in different locations. 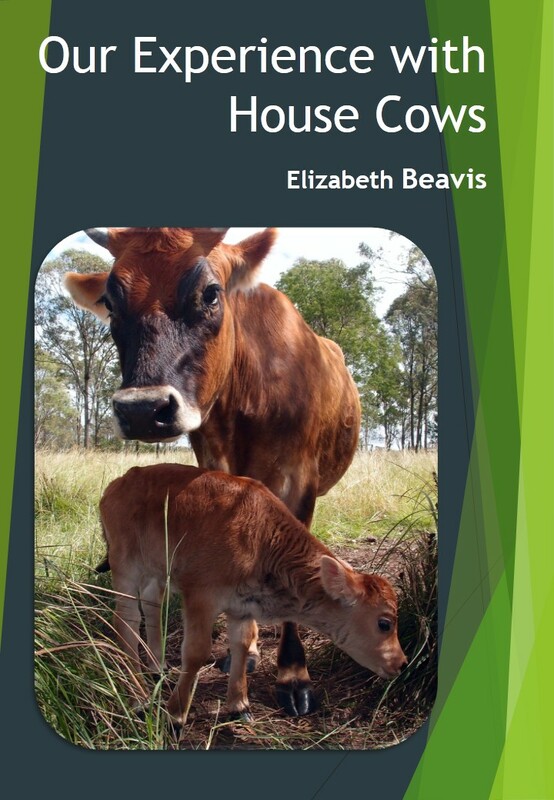 It seems like you can always learn more about house cows (aka family cows, dairy cows or milk cows). I want to share my favourite house cow blogs with you today and I hope you can tell me about other sources of house cow information. Read the rest over at my house cow ebook blog. It was my job as a kid to get up at the crack of dawn to milk the 2 house cows - ABC classic radio paying softy in the background, the grn-grn-grn of the cud being chewed as the milk frothed into the bucket. On cold winter's mornings I used to lean close into the warm of the cow's coat.